With the unprecedented advent of Computers and the Internet and growing popularity of E-commerce, the Intellectual property rights have gained tremendous significance. However, there is a downside to this trend of increased dependence upon Internet and Information and communication Technologies (ICT) namely the difficulty posed in the detection & protection of Intellectual property infringements in the virtual space. The quandary is how does one protect one’s Intellectual property rights and prevent its unauthorised use in the online medium. The intellectual property infringements to a greater extent occur in the online medium rather than offline, due to the ease with which data can be accessed, copied and transferred and the anonymity associated with the cyberspace. Intellectual property infringements in cyberspace comprise of any unauthorised or unlicensed use of trademarks, trade names, service marks, images, music or sound or literary matter. The unique matrix of the cyberspace has produced different categories of infringements including Hyper linking, Deep Hyper linking, Framing, Meta-tags, spamming and Digital Copyrights violation and similar other concepts. The Patent law provides powerful protection to the inventions & protects processes and invented devices and includes unique form of computer softwares which lead to technical effect. Under the Patent Act, 1970 penalizes the unauthorised use of patents, and provides for imprisonment for a term which may extend to 2 years or with fine or both for contravention of secrecy provisions under section 118. Section 120, penalises unauthorised claim of patent rights, and penalizes with a fine of Rupees 1 lakh. In recent years; Trade mark law has not only protected traditional trademarks (like MOBIL, NIKE, AUDI); but also the overall shape and appearance of those marks. Copyright law provides strong protection for sound recordings, literary matter, cinematographic works amongst other forms of art that are original and new. There are many theories advocating the protection of Intellectual property rights, but the common thread in all of the theories is that, the effort and the initiative of the author or creator needs to be protected and rewarded and to promote creativity. 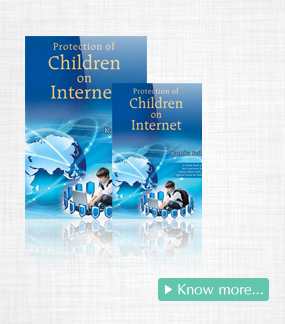 The freedom provided by the internet is often abused; this is where the role of law and regulation steps in. Not only have the national legislations played a pivotal role in strengthening the Intellectual property rights but also to a certain extent the harmonization of various Intellectual property legislations across the globe through treaties and conventions have assumed a great importance. Particularly so, because of the borderless nature of cyberspace. Jurisdiction itself is a complex issue in cyberspace and a number of theories or legal principles have been evolved overtime to solve the complex question of jurisdiction, the most notable ones being the ‘Minimum Contacts Test’1, ‘The Effects Test’2 and ‘Zippo Sliding Scale Approach’3. Treaties which govern protection of Intellectual property rights and have gained large acceptance include the Trade Related Aspects of Intellectual property Rights (TRIPS), Berne convention on the protection of literary and Artistic works, Hague Agreement concerning the Deposit of international Designs, Madrid agreement Concerning the International registration of Trademarks, Patent Co-operation Treaty and the WIPO Copyright Treaty. Trademark violation is amongst the crucial issues of Intellectual Property infringements in Cyberspace. It been held in the Yahoo Case,4 that the domain name serves the same function as Trademarks and is not a mere address but is entitled to equal protection as trade mark. Section 28 of the Trade Mark Act, 1999; confers upon the proprietors exclusive right to use their trade marks, and also grants him the right to file suit for the infringement of his right, and obtain injunction, damages and accounts of profits. 1 Washington V. International Shoe Co, 326 US 1945 (317) ; The State may sue a Non-Resident provided the corporation had minimum contact with the forum state. 2 Calder v Jones, 465 US 783 (1984) , The Supreme Court adopted the foreign effects test to ratify a state assertion of jurisdiction over Non-resident Defendants. Domain Name Dispute arises from the action of ‘Cyber squatters’ intentionally registering a domain name that includes a trademarked words, company name, Brand name etc. There have been many lawsuits of domain name dispute resolution such as the ‘Marks & Spencer’s6’ case, the ‘Yahoo case’7, whereby any bad faith registration of trademark by cyber-squatters with the intent to take advantage of well known trademark’s has been strictly dealt with and the mark has been transferred to the rightful owner. Domain-names have been accorded the same protection as has been provided to Trade-Marks under trademark law in India. The ICANN domain name dispute resolution policy has played an important role in resolving such domain name disputes. In Google V. Racha Ravinder;8; googlenetbiz.com was registered. The complainant, Google Inc filed a complaint. Proceedings were commenced. Google was also a well know Trade mark. The complainants pleaded that the defendant’s website was similar to the Trademark Google, which had worldwide registration. It was submitted that the respondent had ulterior motive or Bad faith in registering their web site so as to confuse the web users and it violates the Trademark as it is identical and confusingly similar to the worldwide Trademark ‘Google’. The panel decision favored the complainant and ordered the transfer of the site to Google Inc. Similarly in, Tata Sons Limited vs. Monu Kosuri & others9, the defendant was a well known cybersquatter who had registered a number of domain names containing the name Tata which is a well known brand name of the Plaintiff. It was held that Internet domain names are more than internet addresses and are entitled to protection equal to trademarks and the plaintiff was granted the ad interim injunction. Deep Hyper Linking triggers much legal concerns, including whether the referring site is liable if it contains links to illegal materials such as websites containing pirated versions of softwares, illegal media downloads apart from various trade mark and copyright violations. In TicketMaster V. Microsoft10, TicketMaster sued Microsoft, as the Defendant in his website “Seattle Sidewalks” had established links on the Homepage of the plaintiff. The plaintiff alleged that the respondent was guilty of deceptive trade mark practices and dilution. The deep linking took the users to TicketMaster ordering pages, without the users visiting the TicketMaster Homepage, which as a consequence deprives the users to read the plaintiff’s promotional materials on its home page. Although, the matter was settled between the two parties, the issue of Hyper-Linking and similar Intellectual property assumes increasing importance. One of the most famous cited lawsuits worldwide for digital copyright infringements is of the Napster Case11, whereby the plaintiff was sued by the defendants, for P2P file sharing. In the instant matter, Napster provided software, whereby the user can share media files (MP3 Files) stored in his computer to other user of Napster. Since the filing of the Napster Inc case, the music companies have been seeking USD 1, 00,000 for each copyright-protected song downloaded using Napster .There was a settlement between the parties, whereby Napster had to give a third of all future profits to the settling parties, and Napster Inc. was shut down in 2000. 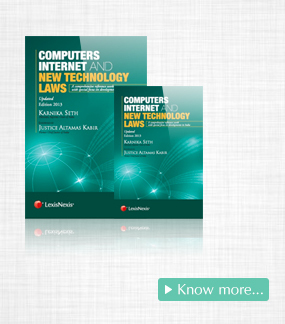 Computer Softwares are also covered under the copyright law. Section 2(o), Copyright Act 1957, 1957 recognises computer programmes and computer data’s creative work entitled to copyright protection. However, the same protection has not been granted to Business methods. 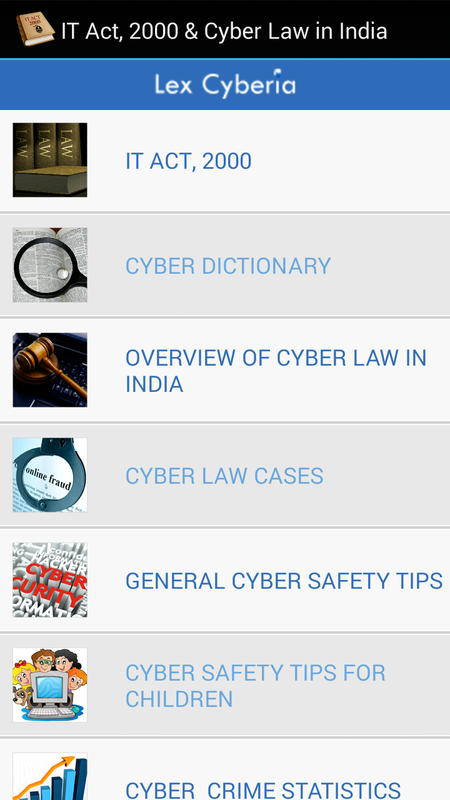 laws issues which apply equally in cyberspace. Scholars have advocated a combined approach of sociological, technological and legal initiatives and measures to protect the infringement of Intellectual property in cyberspace. The legal enforcement of infringement of Intellectual property rights in cyberspace is a very challenging area . Nevertheless, it is a challenge of the digital era, which we need to take in the interest of and furtherance of the emerging e-information society.